Created in 1908 The soul of the Rose is by Waterhouse who was one of the lesser known artists of the British Romantic Movement. 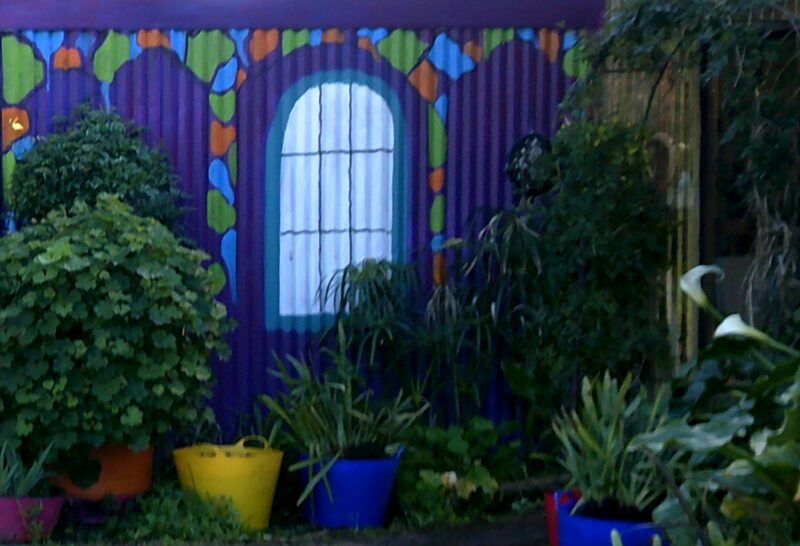 The painting is based on a poem called ‘Come into the Garden, Maud’ by Alfred Lord Tennyson. (1851–2) is very well known and one of the most popular works reproduced. 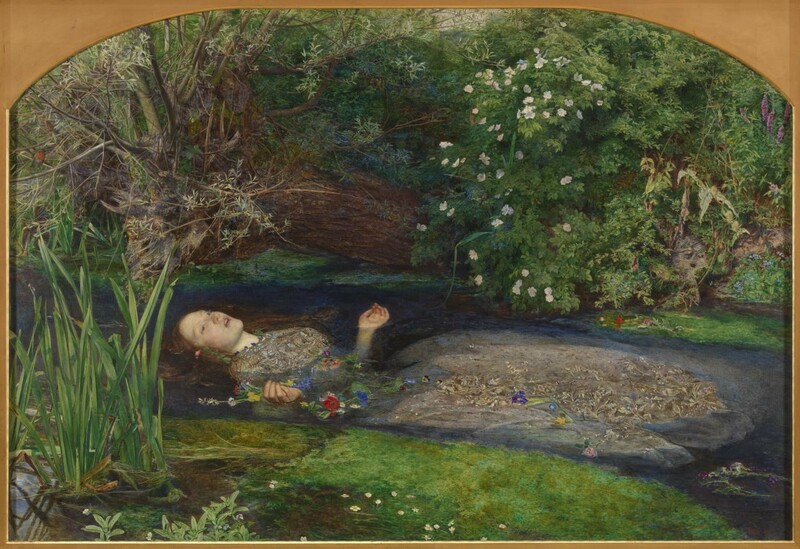 The scene depicted is from Shakespeare’s Hamlet, Act IV, Scene vii, in which Ophelia, driven out of her mind when her father is murdered by her lover Hamlet, falls into a stream and drowns. It was originally derived from Greek word ophelos meaning “help”. This name was probably created by the 15th-century poet Jacopo Sannazaro for a character in his poem ‘Arcadia’. 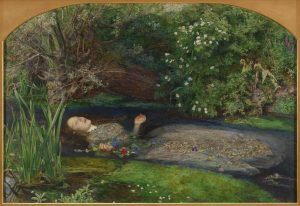 Ophelia 1851-2 Sir John Everett Millais, Bt 1829-1896 Presented by Sir Henry Tate 1894 http://www.tate.org.uk/art/work/N01506.